"The copies of Six murders? are issuing exceptionally well as is our single copy of To The White Gate." As a result I sent them some more copies of both titles. There's nothing more gratifying to a writer than knowing his books are in demand. 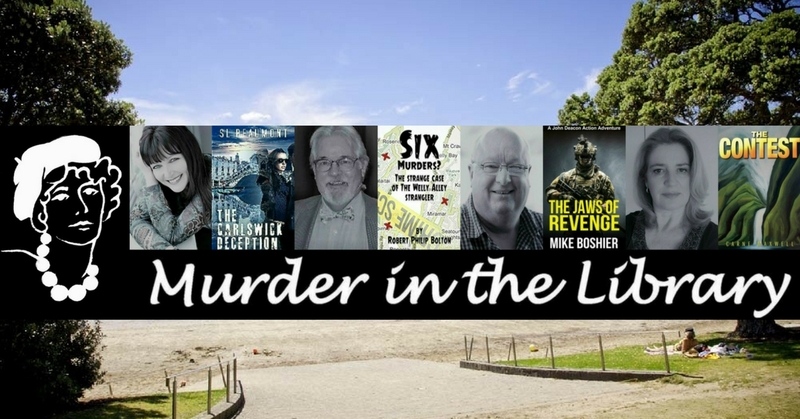 MURDER IN THE LIBRARY is an entertaining series of events for book lovers featuring the books (and their authors) entered into the 2018 Ngaio Marsh New Zealand crime fiction awards. 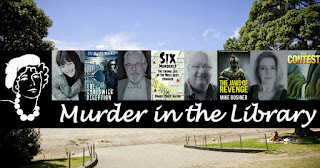 I'm now booked for the event at Takapuna Library (with three other authors) on the evening of Wednesday 11 April from six o'clock to talk about my popular novel Six Murders? 'The Fine Art of Kindness' gets its first Amazon review. And it's a FIVE-STAR. I sold my first copy of The Fine Art of Kindness at Parnell market yesterday and I told the buyer that although he wasn't the first reader he was definitely the first sale. Anyway, he emailed me today to tell me how much he had enjoyed the book -- he had read it in one sitting -- and that he had reviewed it on Amazon. A thoughtful tale, well told. You will be entertained and richer for the experience. Don't miss it! A touching story of 2 older folks reunited after 70 odd years and their time together, until one passes. Robert has done an excellent job of introducing us to the characters and unraveling their secrets over 234 pages. Having met the author I was surprised at the depth of his perception of the character of the subjects. A little challenging at first but the story evolved quickly into a chance encounter which for Jack carried many past memories of kindness and comfort. For a little boy who had a rough upbringing. He briefly experienced a world more nurturing than his own and this had a profound influence on his life's path and the impact of the meeting in later life. The character Betty in contrast experienced huge wealth and poverty in her life, latterly influenced by a medical event early in her married life. This drove her to become what she became and do what she did. Without people like Betty in our world, we would all be that much poorer. Her contributions both financially and physically to children's hospitals and her community were astounding, when you consider the heights her life experienced. While this is a work of fiction one cannot help but wonder if there really was a Betty out there. Judging by the contributors to this narrative it seems our lives are blessed with people like Betty, large of heart and small of profile. Robert has done an excellent job of drawing the reader into a "slice of life" story and telling us who the characters were. He makes us all, perhaps, look at our lives in a different way. An entertaining read. I completed the whole story in one sitting. Fascinated with who these people were and what was coming next. I have no hesitation in recommending the book and its author to all thoughtful readers. This time I've set up a free Kindle promotion for my new book The Fine Art of Kindness which will run until Sunday night (NZ time). I posted the promotion on Facebook and then boosted it to the UK and Australia so it will be interesting to see how it goes. As Six Murders? is entered in the 2018 Ngaio Marsh New Zealand crime fiction awards I've been invited to one of the 'Murder in the library' events which the awards organize around the country. I've never doe one of these before -- or even attended one -- so I'm not sure exactly what to expect but, whatever else, it should be interesting. So, I'm booked at Takapuna Library on the evening of Wednesday April 11. Meanwhile Point Chevalier library wants me to do an author talk about My Marian Year. The date is somewhat distant -- 15 September -- so more news here when I know more details. One Kindle FREE promotion ends; another is about to begin. My Kindle free promotion of To The White Gate ended last (Sunday) night (New Zealand time). I was surprised how few people took up the offer given this book's popularity. However, a writer writes only to be read and I hope those unknown people who downloaded this lovely book go on to enjoy it (and review it I hope). Equally as lovely and moving, in its own way, is my new novel The Fine Art of Kindness. It, too, will be available FREE from Kindle later this week. It's got no official reviews yet -- after all, it's brand new -- but informal feedback so far has been terrific. The free Kindle download will be available from 8.00 pm Thursday 22 March until 8.00 pm Monday 26 March (all times New Zealand). It started at 8 o'clock last night (Tuesday night) New Zealand time and runs until 8 o'clock Sunday night. The time-zone differences - made worse by the start of daylight saving in California and daylight saving being still in effect in NZ - make it complicated for me to keep track but I have established that, for the moment at least, the difference is four hours and a day. I don't know how the promotion will go; as of nine o'clock this (Wednesday) morning there were four copies 'sold' and that's before I posted the promotion on my two Facebook pages. I've just set up Kindle FREE world-wide promotions for two of my books. Five days. Runs from New Zealand time 9.00 pm Wednesday 14 March (12.01 am Wednesday 14 March PST) to 9.00 pm Sunday 18 March (12.00 midnight Saturday 17 March PST). For some reason I could not make this programme wouldn't let me run for five days. Don't know why. So, runs from New Zealand time 9.00 pm Thursday 22 March (12.01 am Thursday 22 March PST) to 9.00 pm Monday 25 March (12.00 midnight Sunday 25 March PST). NOTE: It is almost impossible to follow the rules on these free Kindle promos. The website says that promotions run from midnight of the start day to midnight of the end day for a maximum of five days. Choose when the promotion starts and ends. Start and end dates are midnight Pacific Time. For example, if you enter a start date of January 3 and an end date of January 7, your deal would run on January 3, 4, 5, and 6. Kindle Free Book Deal promotions can run for up to 5 days. A further complication is that the times are PST which means adjusting for both New Zealand and California daylight time. 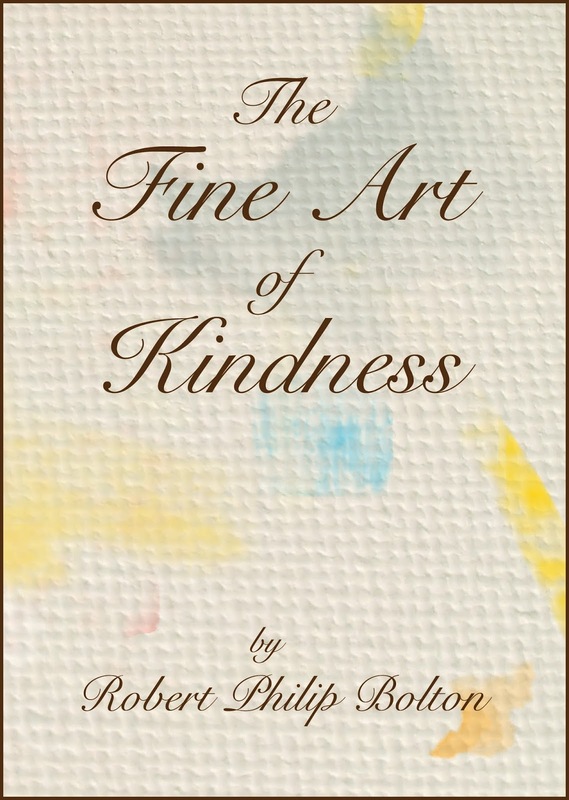 Amazon is now stocking 'The Fine Art of Kindness' for sale anywhere in the world. Yes. The Fine Art of Kindness is now available here from both Amazon and Kindle. The English software outfit -- Serif -- which developed the programme I use for my website has not only stopped supporting the programme (WebPlus) but has now ditched the associated resource I used for my blog. So here I am on a new blog site. Hopefully Mr Google won't go out of business any time soon. So, nearly ten years of blogging wasted although I'm going to try and copy all the old blogs into this site (if I can). So everything after this posting is on the new blog. Everything before this date is copied over from the old blog. Self-publishing is a slow, meticulous, step-by-step process requiring patience and attention to detail. So I'm pleased to say that my new novel, The Fine Art of Kindness, is now available from Kindle. You can get it (and all my Amazon and Kindle books) HERE. Next will be the Amazon edition. And finally the local print edition.